Russia to Support Companies Hit by US Sanctions - Integration Through Media ....! 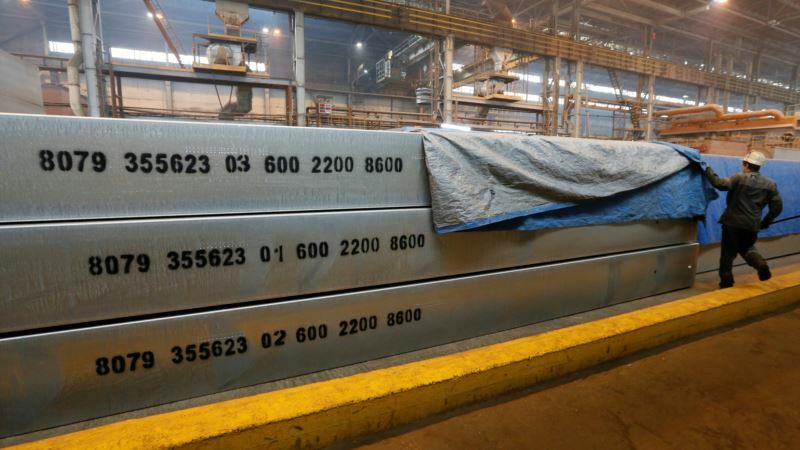 (VOA): Russia said Monday it will support companies hit by fresh U.S. sanctions as Russian stocks dropped and shares in aluminum producer Rusal plummeted. Deputy Prime Minister Arkady Dvorkovich said in comments reported by state news agencies that Russia is prepared to back the companies if their positions worsen. “We have a very attentive approach to our leading companies. They mean thousands of employees and very important jobs for our country,” he was quoted as saying by the TASS agency. Shares in Rusal, which is controlled by billionaire businessman Oleg Deripaska, plunged just over 50 percent on the Hong Kong stock exchange Monday. “The company's initial assessment is that it is highly likely that the impact may be materially adverse to the business and prospects of the group,” Rusal said in a statement. Deripaska controls a business empire with assets in aluminum, energy and construction. He has figured in Russian election-meddling investigations in the U.S. due to his ties to former Donald Trump campaign chairman Paul Manafort, who once worked as his consultant. The 55-year-old Deripaska is worth $5.3 billion, according to Forbes magazine. On the Moscow stock exchange, the flagship MOEX index traded down over 6.5 percent as of early Monday afternoon, having partially recovered from a steeper slump which took the index down almost 10 percent. Metals companies were among the main losers. The euro traded above 73 rubles for the first time since September 2016, while the dollar neared the 60-ruble mark. The U.S. Treasury Department on Friday announced sanctions against seven leading Russian businessmen, 17 officials and a dozen Russian companies. Besides Deripaska, targets included Alexei Miller, the head of state natural gas giant Gazprom, and Andrey Kostin, the head of the state-controlled VTB Bank, which is Russia's second-largest. There was also a place on the list for Kirill Shamalov, who is reportedly Putin's son-in-law, married to his daughter Katerina Tikhonova, although neither Putin nor the Kremlin have acknowledged that she is his daughter. In 2014, Shamalov acquired a large share of Russian petrochemical company Sibur, later selling most of his stake for an undisclosed sum.